Knighthood comes with a long list of responsibilities attached to it. You must defend the kingdom from harm by slaying every manner of dragon or beast that might attack the castle. You must uphold the valor and virtue of your kingdom, but adhering to a strict code of rules. You must also clean your room, since a knight always keeps his quarters in impeccable shape. (Okay, so maybe we made that last one up, but you can always tell your child that in an effort to make him do his chores!) You might be wondering just where to begin with trying to teach your child the ways of being a knight. 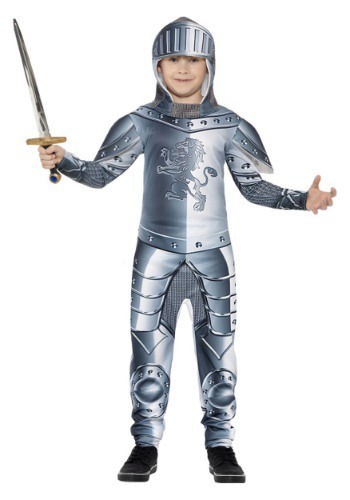 We suggest that you start with this simple costume, which acts as your child’s first step into becoming a true protector of his kingdom. The child knight costume does a great job of looking like a full set of plate armor without all the downsides of actually wearing heavy armor. 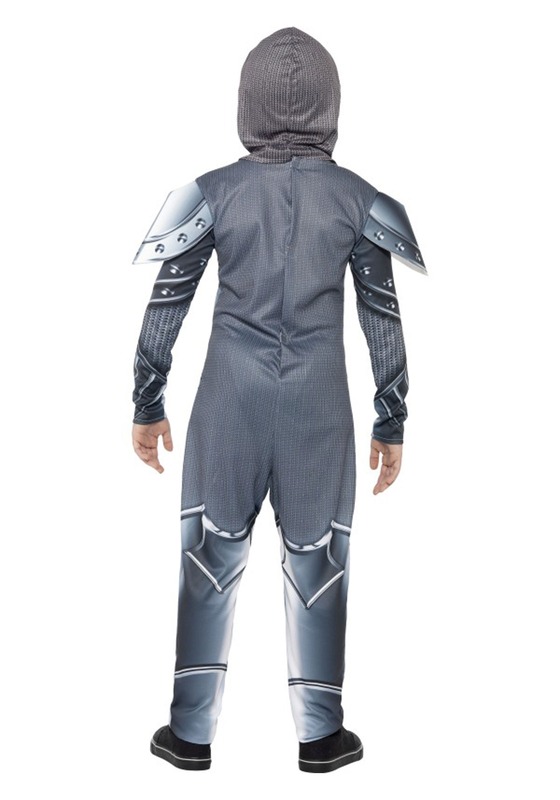 The jumpsuit is made of lightweight fabric that has printed armor and chain mail on the front, so your child will look like he’s equipped to take on a dragon, but he’ll feel nimble enough to dance like a jester. The front even has a printed lion emblem on the front to let would-be troublemakers know that he has the courage of a lion! The costume makes for a great look to wear to the Renaissance faire, or for a foray into the career of dragon-slaying! Just make sure to equip your little knight with a toy sword and shield before he heads off into battle against any sort of draconian menace in your land!